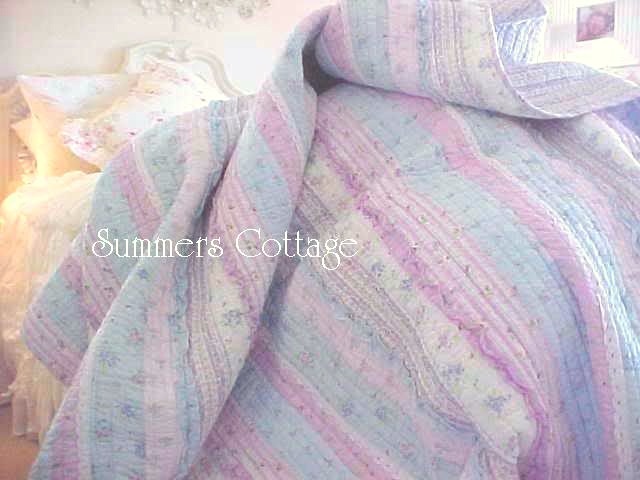 Beautiful Lavender, Aqua Robin's Egg Blue, Pink Roses and Rosebuds with rows of ruffles and white crochet lace! 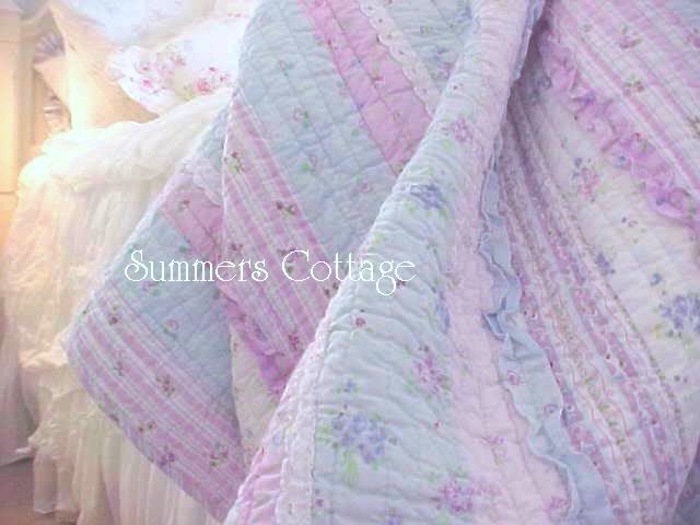 This beautiful brand new bedding has all of the perfect shabby vintage colors and romantic elegance! 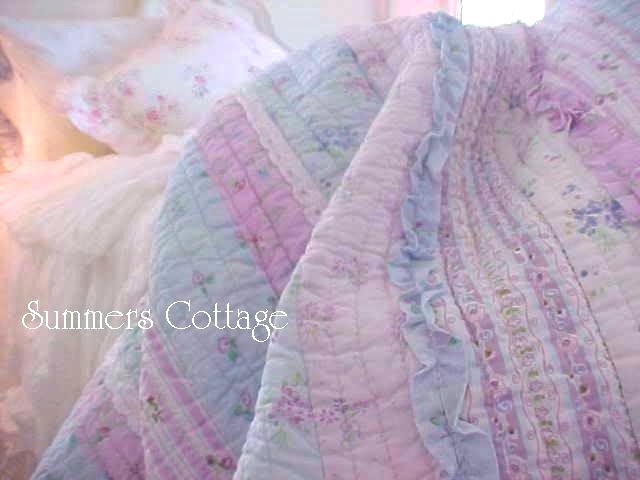 This beautiful quilt has lavender pink and blue cabana stripes with alternating rows of ruffles and ticking striped garlands of roses on the back! 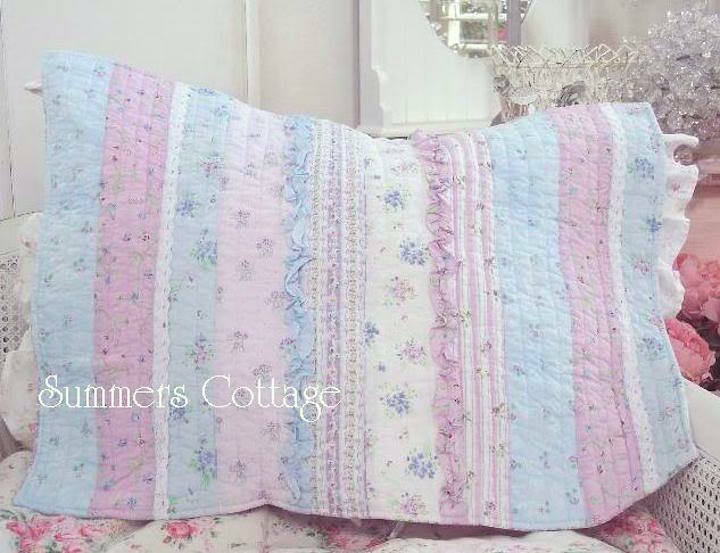 Shown with some beautiful chippy white furniture and headboard on a bed with a wreath and rose swag appliqués to show how lovely this is for romantic shabby cottage homes! Brand new and in its original package, 100% cotton inside and out. Machine wash and dry. 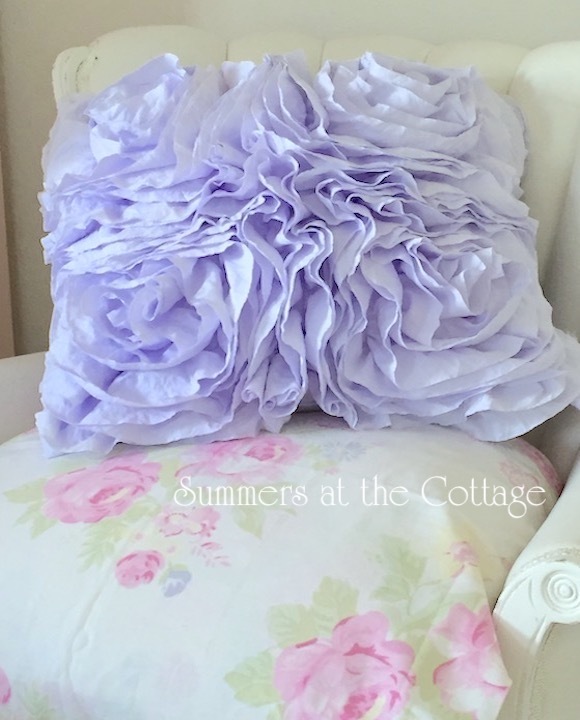 but may be available in our Cottage Pillows section.